Jackson for Professional Pet Sitting Etc. This article is brought to you by Professional Pet Sitting Etc. Does your dog snore? Snoring dogs can contribute to many sleepless nights for their pet parents. This can become quite troublesome for you especially if your dog sleeps in the bed with you. However, you just might want to figure out exactly why your dog is snoring as snoring may be as it could signal that something serious is going on. So, what’s going on here? Why is my dog snoring? Breed. There are certain breeds of dogs that are known to snore. If your dog has a flat nose or face, chances are he snores. Pugs, French bulldogs and Pekinese dogs snore pretty loud. In fact, some dogs with flat faces need to get surgery because they struggle to get enough air in. This condition is called brachycephalic airway syndrome. Surgery can eliminate the struggle to breathe as well as the snoring. Of course, you will want to seriously discuss the pros and cons of any surgery on your dog as all surgeries come with risks. Just like their human counterparts, dogs can get congested. If your dog has a bit of a cold or he’s congested for any other reason, he’s mostly likely going to snore. A quick trip to the vet may provide relief to your pet via the use of a decongestant or antibiotic. Your canine companion should not have to suffer. Think about the scents lurking around your home. Any irritant of the lungs or airways may case your beloved dog to snore. Anything from second-hand smoke, household cleansers, detergents, candles and even dust can make it difficult for your dog to breathe. You may also want to consider the temperature of your dog’s environment. A cool environment is the best and will keep your dog most comfortable. Dogs may also snore if they are overweight. 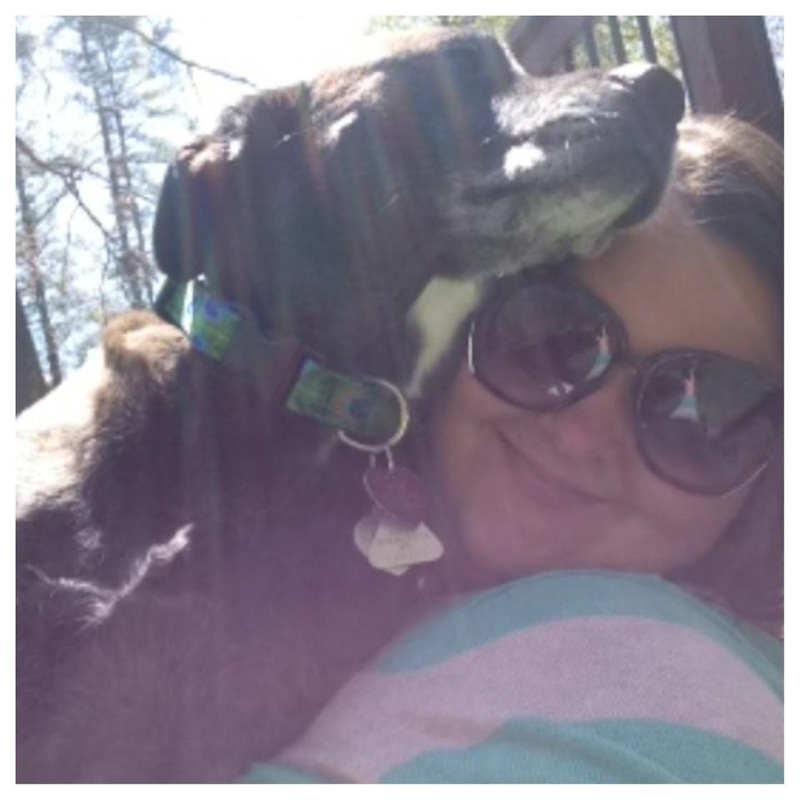 Excess weight will put pressure on your dog’s neck and lungs. If your dog is overweight you should really address it with your vet right away and provide your dog with safe opportunities to exercise. Seasonal allergies can also make it difficult for your dog to breath. Pollen is a big offender for all of us when it comes to seasonal allergies. A more serious health issue may be at work here so is snoring and this is out of the ordinary for him, a quick visit to the vet is most certainly in order. 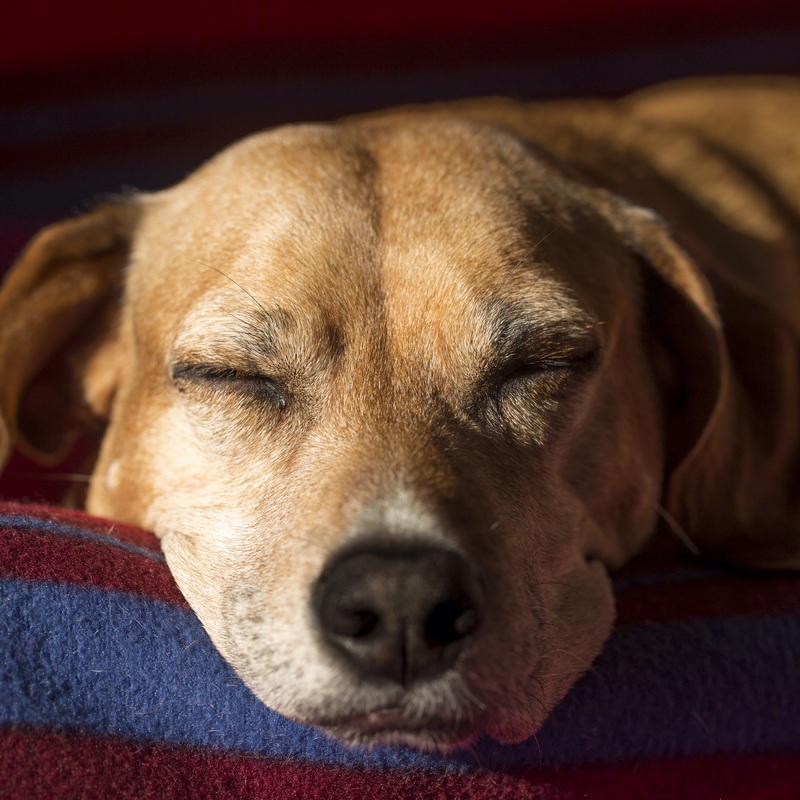 Finding the root cause of your dog’s snoring might just take a little guess and check. However, if your dog has been a lifelong snorer, you just might be stuck with it forever. If you are dead set against making him sleep in another room, we understand but then you might want to invest in a set of ear plugs. Does your dog have dry, flaky skin? If so, that’s a clear sign that he just might be suffering from Eczema. While it’s fairly easy to treat Eczema and provide your dog with some relief, finding the root cause of Eczema is not quite so simple. Why? There are many causes for Eczema and ordinarily there is an underlying issue at hand that is manifesting itself as Eczema. Eczema is an inflammation of the outer layers of your dog’s skin. Simply put, Eczema is a symptom of an underlying cause. Eczema can cause your dog to be really itchy which may prompt him to chew, scratch, lick and/or rub his skin. This will often only serve to worsen the issue at hand so it’s important to get to work at finding the underlying issue. Eczema can also be exacerbated by seasonal influences such as hot, dry or humid air. This is where things get tricky. There are so many causes of Eczema. This makes diagnosis so hard as it’s often a trial and error of tests and treatments. Conventional Medicine is often the first line of defense against Eczema. Anti-inflammatory drugs such as steroids are often prescribed to suppress the symptoms associated with this condition. Additionally, antibiotics are used to treat secondary infections. These methods are great for short term treatment but do not address the underlying cause of Eczema. If the root cause of the Eczema is not sought out, the condition will only resurface more aggressively later on. Many pet parents are now using topical herbal and internal remedies to alleviate the symptoms of Eczema. Burdock root, cleavers, Echinacea and licorice root are just a few of such herbs. These herbs serve to strengthen the overall immune system of your dog while providing relief to the symptoms of Eczema. Remember, Eczema is a mere symptom of an underlying issue. Please work closely with your veterinarian, holistic or otherwise, to determine the root cause of your dog’s symptoms. It will take some patience and persistence but don’t give up. 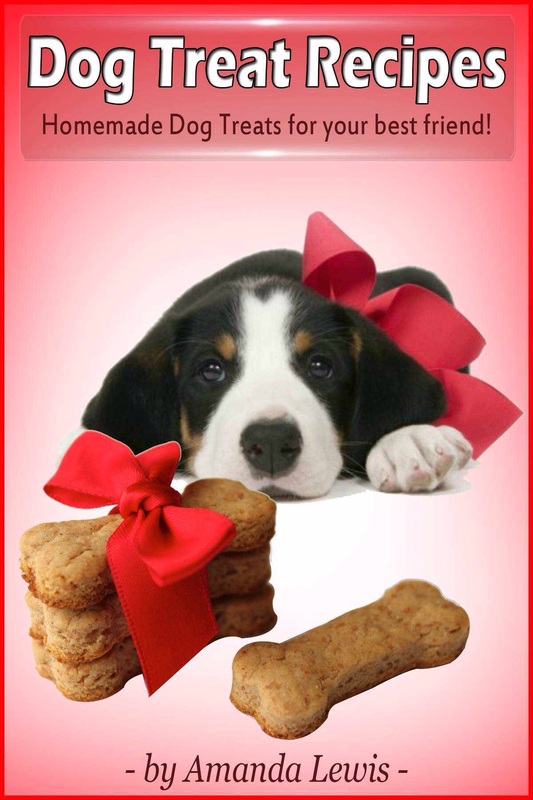 Dog Treat Recipes by Amanda Lewis brought to you by Professional Pet Sitting Etc. Article Brought to you by Professional Pet Sitting Etc. What if you could have access to hundreds of dog treat recipes right from your tablet or computer? Well, you can! Have you heard of Kindle Unlimited? Kindle Unlimited is an awesome service offered by Amazon ( I am becoming and Amazon addict !!) that enables you to have access to hundreds and hundreds of books each month. You’re probably thinking “What’s the catch?” We thought so too. However, other than a small fee of $9.99 a month, you can easily have access to some really amazing dog treat recipe books – and MUCH more! Wow, what a list right? The best part is that this isn’t even the icing on the cake! There’s more. You could literally be cooking for days! Here’s a sneak peek via a great recipe that we found from “Dog Treat Cookbook: 20 Homemade Recipes Your Dog Will Love” by Chef Goodies. Drop spoonfuls of batter on a baking tray linked with baking paper. Bake 30 minutes or until desired crispness. Sound yummy? Your dog will certainly think so! Try this great recipe and more for free using your Kindle Unlimited Membership. You can even try a membership for free and it’s easy (really) to cancel if you decide the $9.99 a month isn’t worth it. If you love your dog and you love to read, Kindle Unlimited is worth a try – at least we think so! Brought to you by Professional Pet Sitting Etc. Did you know that the training of a service dog can begin as early as three days old? That was the case for Tuesday the Psychiatric Therapy dog. At three days old when his only developed sense was touch, his trainers began his interaction with humans. Tuesday, the golden retriever, was born and bred to be of service to one very fortunate human being. 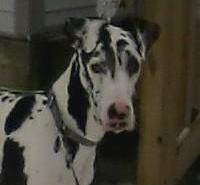 Tuesday was trained by a variety of handlers so that he would not get attached to any one human. However, he did spend time working behind bars with a prison inmate under a special prisoner dog training program. Tuesday was very sad when his trainer was paroled but the best was yet to come for Tuesday and a very special disabled Iraqi Veteran by the name of Luis Montalvan. Luis Montalvan, who so boldly and courageously served our country for two tours in Iraq, came home a changed man. He suffered debilitating physical and psychological injuries from war. Luis retreated from his family, friends and life altogether. He suffered from PTSD, nightmares, traumatic brain injury, panic attacks and a fractured vertebrae. Luis was in need of a therapy dog. Tuesday spent the first two years of her life preparing to be of service to one person and that person was Luis Montalvan. In 2008, Luis and Tuesday were matched and so began a journey of healing for Luis. Tuesday is Luis’s constant companion and is in tune of his every need. Tuesday can detect when Luis needs help, and when he is anxious or afraid. He picks things up for him, helps him keep his balance when his vertigo attacks and so much more. The pair plays together and works together. Luis wrote a book entitled “Until Tuesday” and Tuesday was right there with him while he wrote the book and while he was out promoting it. In fact, Luis went on to earn a master’s degree from Columbia University’s School of Journalism and Tuesday was right there with him earning his very own diploma and donning a cap and gown. Luis is living the life he thought he had lost while serving our country thanks to a very special service dog, Tuesday. Today they travel the country in tandem telling others how service dogs can changes the lives of our wounded soldiers. If you’d like to learn more about Luis Montalvan and his therapy dog, Tuesday please check out www. 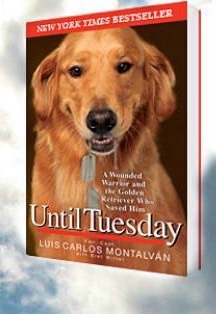 Luismontalvan.net and read his book “Until Tuesday”. It was on the New York Times Best seller list for multiple years and rightfully so. Just do yourself a favor and have a box of tissues handy.